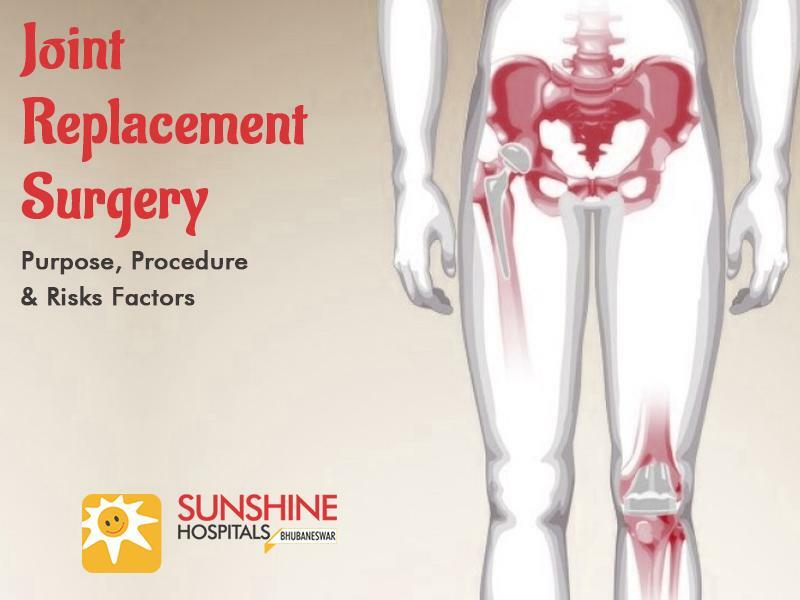 Joint replacement surgery is one of the safest and most reliable treatments in the medical field. It is a surgical procedure in which the diseased or damaged bones of the joints are removed and replaced with new implants inserted in their places. These new implants made up of special metal or plastic or carbon-coated implants allow the joints to move again with little or no pain followed by an increased range of motion and improved looks. Joint replacement surgery will be recommended by your surgeon when all other treatment options failed to provide enough relief. People with joint replacement surgery can return to their normal activities and function well. It helps to relieve arthritis pain and restore function to the affected joint. It would be your ideal choice when the pain is no longer well-controlled and joint damage significantly affects the quality of life. During a Joint replacement surgery, damaged cartilage and bone from your joint are replaced with an artificial implant containing metal or ceramic substances. These new implants are attached to the bone using acrylic cement which allows the bone to grow into implants and the joints move again without pain and increased flexibility. The long term outcomes of joint replacement surgery include improved quality of life, enhanced motion and strength to the joints that might not happen otherwise. Infection: Infection around the surgical incision site or around the newly placed prosthesis may happen to result in failure of surgery. Minor infections can be treated with medications or drugs but the major infections usually require a second operation to treat the infection. Formation of a blood clot: There may be lumps of blood called clots developed at the incision site causing swelling and pain. Your surgeon usually suggests drugs that can thin your blood. However, you can overcome this problem by using blood thinners or a special type of stockings or boots and regular exercises. Loosening of the joint: Sometimes, there is a possibility of joint loosening leading to pain and additional discomfort. If the pain is severe, then you may need revision surgery to tighten the joints. Dislocation: It is a complication that often seen in total hip replacement. During hip replacement surgery, the ball portion of the artificial joint may pop out of its socket. A brace will be advised in these instances, without going for a surgery. Wear: Some degree of wear will be noticed in all type of joint replacements. But, the excessive wear results in loosening of the joint and causes discomfort. To correct this complication, you may require additional surgery to replace the worn out component. Injury to the nerves and blood vessels: Injury to the nerves and blood vessels are rare in the proximity of the replaced joint. Artery injuries: It often occurs in knee replacement surgery, as the major arteries of the leg are behind the knee. This may result in damage to these vessels. If you are experiencing any of the above risks, make sure that you contact your doctor immediately. It is a safe procedure associated with certain risks but can be effective, if done by experienced and qualified orthopaedic surgeons. Choose the best orthopaedic surgeon who can help you with specific limitations, precautions and activity restrictions following total joint replacement surgery.